Mr SZE Tsai Ping, Michael is a fellow of Institute of Chartered Accountants in England and Wales, Hong Kong Institute Certified Public Accountants and Association of Chartered Certified Accountants. Since 2007, Mr SZE has been appointed as an independent non- executive director of Harbour Centre Development Limited (stock code: 00051.HK), and also served as the chairman of the Audit Committee and the Remuneration Committee and a member of the Nomination Committee, of that company. 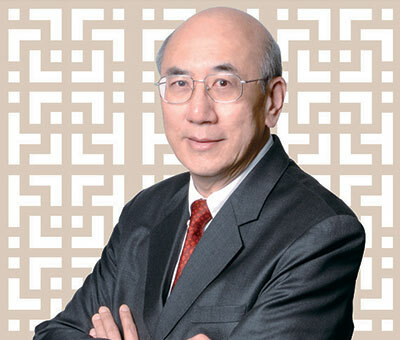 Mr SZE has over 30 years of experience in the financial and securities field. He graduated with a Master of Laws (LLM) degree from the University of Hong Kong. He was a former member of the Securities and Futures Appeals Tribunal. He was also a former council member and a member of the Main Board Listing Committee of the Stock Exchange of Hong Kong Limited. Mr SZE was appointed as our independent non-executive Director on 22 June 2006.